Mary Alice Monroe believes in the power of stories. The best-selling author writes about our connection to animals from her home on the Isle of Palms. Her latest book, “A Lowcountry Christmas,” will be released Tuesday. It tells the story of a wounded warrior and his younger brother who discover the true meaning of Christmas. Read more of my interview with the author on the Post and Courier. Mary Alice Monroe always dreamed of writing a novel, but it was difficult to find the time as a busy working mom. Years before she became The New York Times best-selling author of books including “The Beach House” (which is being made into a movie starring Andie MacDowell) and “The Butterfly’s Daughter,” she was living in Washington, D.C., with her husband and two daughters, and pregnant with their third child. She was teaching English and Japanese and making extra money with various nonfiction writing assignments, but felt the pull of a novel. To read more of this article go to The Post and Courier. 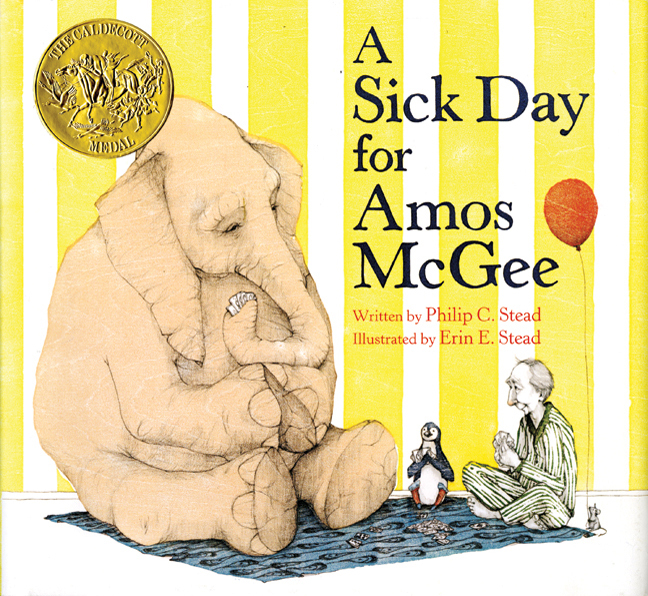 When this married couple writes a book I don’t even look at it before I buy it because I know it will be great (see A Sick Day for Amos McGee). My boys and I like to play the game of ‘what superpower would you choose’ and if I could choose a superpower it would be to be a supergirl-fly-on-the-wall. That way I could travel unseen to places like the Stead’s house. I imagine that they work in some sort of fabulous creative space with a big table that is covered in colored pencils and pieces of paper that are filled with charming characters. I know that their space must be warm and energetic and brilliantly creative. Reading their wonderful children’s books makes me feel like I am spending time with a great friend. 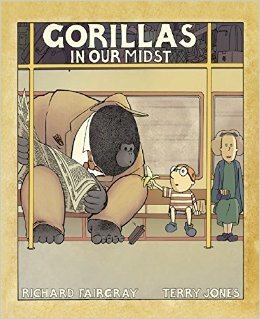 Reid and I have a thing for gorilla books (If I had a Gorilla by Mercer Mayer, Little Beauty and Gorilla by Anthony Browne, and Little Gorilla by Ruth Bernstein) and the illustrations and subtle humor in Gorillas in our Midst makes me pull it from our crowded bookshelf time and again! 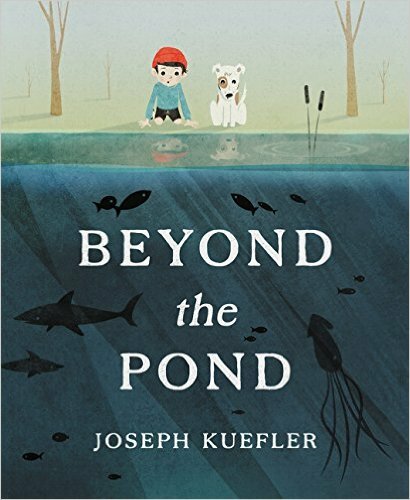 In Beyond the Pond a young boy is bored and dives into a neighboring pond, deeper and deeper, to emerge at last in a magical, parallel world. When he returns home, after his big adventure, he finds it wasn’t quite as he left it. 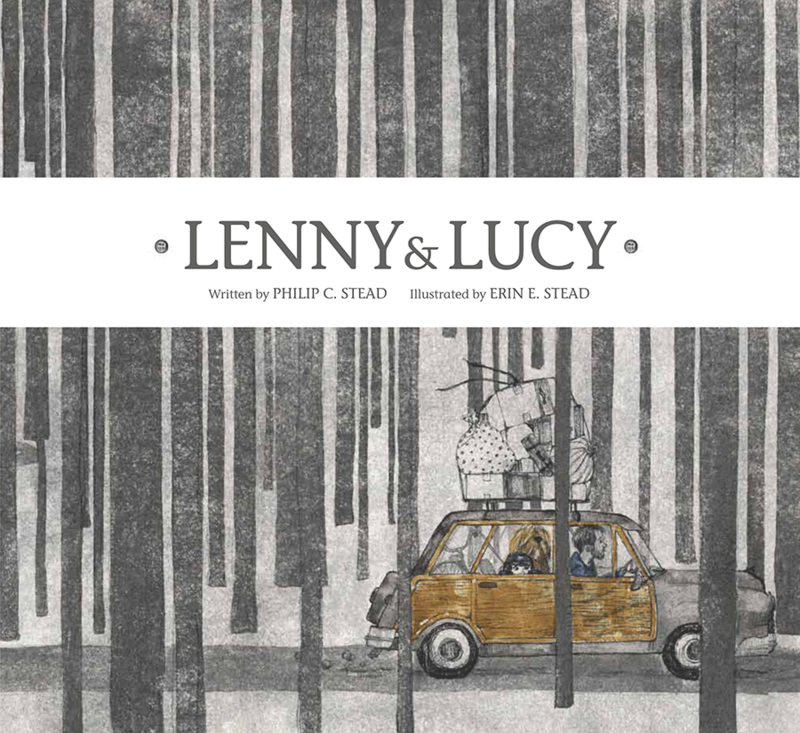 This beautifully illustrated book carries out the simple theme of finding escape in your own back yard. Who doesn’t love to think there are mysteries within reach? 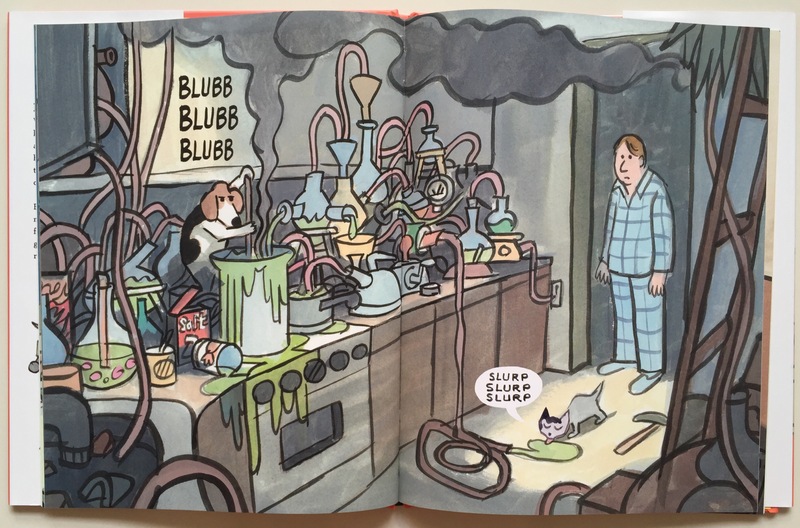 Jon Agee is one of the best children’s authors in my opinion. His humor is so understated and he comes up with such fantastical ideas like for example, his latest book, It’s Only Stanley, in which a family is awakened throughout the night by their dog who is busy fixing the tv, the bathtub drain, and building a rocket ship. Agee says the book is about grown-ups who are not clued into what’s going on, and that the story sat on his shelf for several years because of the rhyming style which is wonderful to read aloud, but challenging to create. Tonight, after an argument with my 11 year old over his Latin homework, writing this blog post has calmed me. I’d like to thank these authors for their continued brilliance and creativity that brings my family great joy on a nightly basis! Thank you, thank you Teddy Wayne! I wholeheartedly agree. The bookshelves in our house are overflowing, much to my husband’s dismay, but I refuse to part with them. The books are reminders to me of my past because I can pick one up and remember where I was when I read it. I may never read the book again, but maybe my kids will. In fact just last week I handed my 14 year old son my high school copy of Catcher int he Rye. It was a really exciting moment for me. He says he likes it a lot. I’m trying to sustain my glee…..some of the bookshelves in our house.